Each year, we survey our clients to learn more about the trends that are impacting the IT industry. The survey touches a variety of topics including cloud, IT spend, technology, and hardware. This year, we surveyed 41 clients. Below are the results of our annual survey. How much of your current infrastructure is in the cloud? What are you’re plans for the cloud in 2019? Long term where do you see your organization? What do you see as the greatest benefit of the cloud? What is your greatest concern about the cloud? Which cloud platform do you use? Do you expect to spend more or less money on IT hardware next year? How many assets do you anticipate retiring in 2019? How old are the majority of assets you expect to retire in 2019? 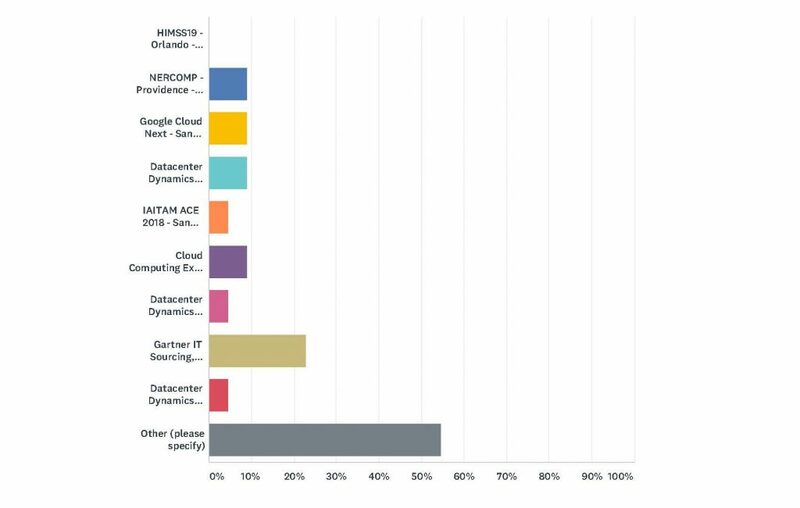 What brand represents the largest percentage of your IT infrastructure? What technology are you looking to learn more about this year? What trade shows do you plan on attending in 2019?